Most smartphones come with pre-installed social networking app like Facebook out of the box. 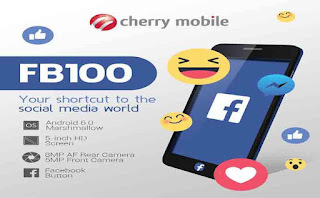 With this latest Cherry Mobile Android phone FB100, access to Facebook becomes quicker with the help of the physical button that serves as a quick launcher. It’s now one tap away to access your friends news feed, messages and videos. 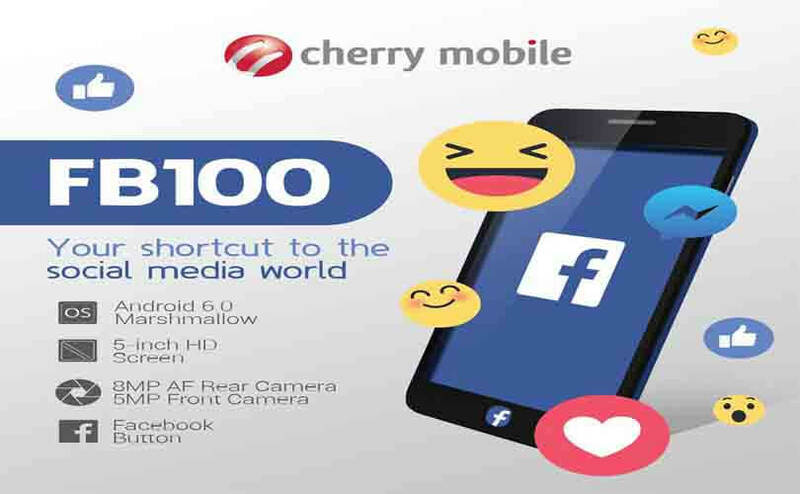 With Cherry Mobile FB100, you don’t need to add the Facebook widget on your home screen anymore. If you have something to upload, post and share on FB, pressing the designated button lets you quickly launch the app. This device has a 5-inch HD screen that runs Marshmallow 6.0 OS and powered by a Quad-Core processor. For storage, it has 8GB of internal storage with microSD support for up to 32GB. It is also equipped with 8 megapixel rear camera and 5MP on the front that you can use to take photos and upload it on Facebook. Every purchase comes with free Cherry Prepaid SIM and free MB’s of data monthly up to 6-months. You can use it on one of the SIM slot, just turn on your mobile data and then connect to 3G network to enjoy faster Facebook browsing.